New York – Oct. 16, 2018–2K today announced the official launch of NBA 2K Playgrounds 2. This all-new two-on-two arcade basketball game from developer Saber Interactive and 2K is now available worldwide on the PlayStation®4 computer entertainment system, Xbox One, Nintendo Switch™ and Windows PC for $29.99. NBA 2K Playgrounds 2 features tons of ways to play on your own, with friends or against the world. Playgrounds Championship mode introduces a worldwide ranked league with multiple competitive solo and co-op ladders, while the new single-player Season mode recreates the experience of leading a team through the regular season and playoffs. There are also four-player online matches, co-op matches against AI, enhanced matchmaking with dedicated servers, three-point contests, off-the-wall power-ups, custom matches and more! Putting the sport’s biggest legends front and center, NBA 2K Playgrounds 2 steps up the energy and attitude with new players, playgrounds and more, starting with cover athletes Julius “Dr. J” Erving, Kevin Garnett, Karl-Anthony Towns and Jayson Tatum. The game is packed with over 300 players at launch – including all-time greats like Michael Jordan and Kobe Bryant – with over 180 additional players arriving in updates after release, including Kareem Abdul-Jabbar. There are ten exciting new playgrounds to ball on from around the world, including Washington, D.C., St. Louis, Seoul and Australia, with even more courts planned for after launch. In addition, the game boasts well over 100 signature moves, including showstoppers like Michael Jordan’s free throw line dunk, George Gervin’s Iceman finger roll and LeBron James’ self alley-oop. There are also new customization items like jackets, shirts, pants, shorts and shoes. And, NBA 2K Playgrounds 2’s soundtrack features licensed tracks from hit artists like Run The Jewels, Oddisee and DJ Premier. 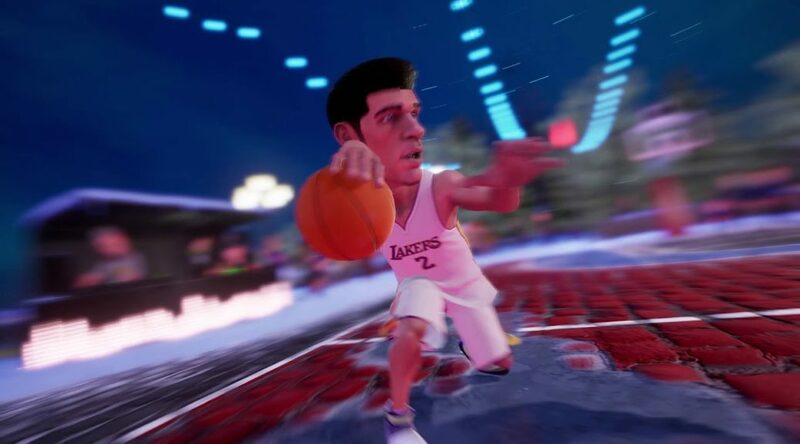 For the latest updates from NBA 2K Playgrounds 2, visit nba.2k.com/playgrounds, and follow the series on Facebook, Twitter and Instagram.